Working as a member of the HOC Directing team, the Counselling Director’s main role is to support and improve the effectiveness of HOC’s counselling program. This role is facilitated by establishing clear and concise goals, as well as supervising and evaluating staff counselling techniques. 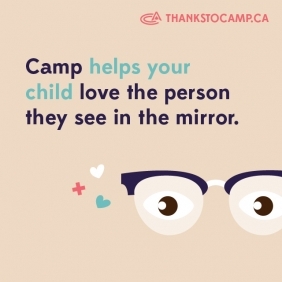 The Counselling Director will work closely with each of the 7 Section Heads to train and supervise counselling staff in their roles, as well as oversee camper safety and discipline concerns. Directors are responsible for teaching staff and campers the safety requirements of each program ensuring that all participants use equipment properly and follow safety standards. This includes providing care to our campers that reflects the standards and guidelines of HOC's Child Care Practices. Review section and cabin assignments weekly. Facilitate Section Head meetings as required. Assist Section Head with camper related issues. Assist Camp Director with staff discipline and staff dismissal issues. Work with Section Heads to produce three formal written evaluations of all counselling staff; at the end of weeks 2, 4 and 6. Evaluate Section Heads with three formal evaluations. Assign and supervise Saturday/Sunday counsellor cabin clean-up duties. Work closely with the Administrative Assistant to facilitate communication between campers & parents. Work closely with Head of Staff Development to provide mentorship and support for all first-year HOC Staff. Improve the effectiveness of the Counselling program by establishing clear and concise goals. Work with Section Heads and Counsellors to create and execute camp programming that is age appropriate, productive, and fun. Attend, organize and facilitate sessions and programming for Staff Orientation Week in late June. Complete a Counselling report and update counselling manual at the end of the summer. The Counselling Director can expect between 8-10 hrs of scheduled duties daily not including other duties as assigned based on program needs. Directors will be provided with the equivalent of a weekend off, once throughout the summer. This time off will be scheduled in advance with the Camp Director and will not necessarily run over a Saturday/Sunday. Sunday check-ins are a mandatory part of the Counselling Director's job responsibilities, and therefore time off will be scheduled around this. Minimum Bronze Cross Award. Emergency First Aid and CPR certification.